Why is Ferrari Called Ferrari? Ferrari is famous for incredible speeds, sophisticated luxury, dignified ostentatiousness, and for being the creators of the most expensive car ever sold. The company started from very humble beginnings and went on to be one of the most recognized brands in the world. In fact, in 2017, Brand Finance named Ferrari the “world’s most powerful brand.” They held this title for the rest of the year until everyone’s favorite building block, Lego, usurped their spot in 2018. But if you want a more comprehensive understanding of the meaning of Ferrari’s brand name, it’s important to discuss the company’s origins. 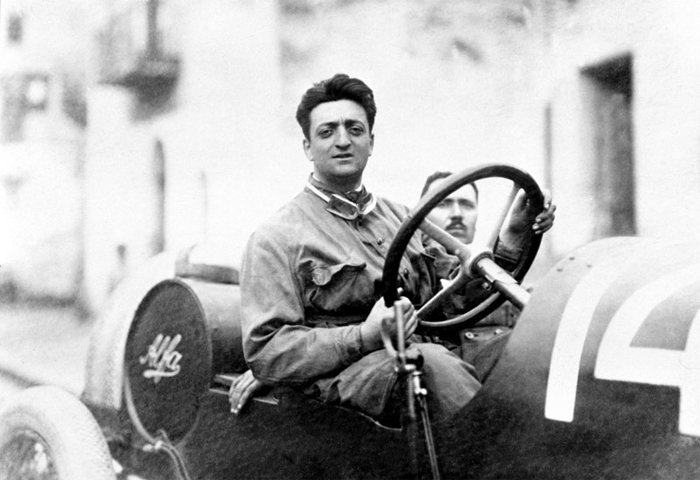 Enzo Ferrari was born on February 18, 1898 in Modena, Italy. After the death of his father and brother to a contagious flu and the failure of the family’s carpenter business, Enzo decided to enter the automotive business, eventually landing a job as a test-driver for Costruzioni Meccaniche Nazionali, or C.M.N., a Milan car company. The organization soon promoted him to race car driver after Enzo proved to be quite a handler. After a fair amount of success, Enzo eventually switched teams, joining the racing wing of Alfa Romeo sometime in 1920. He spent the next few years as a fairly successful racer, but was encouraged by the birth of his son and the death of Antonio Ascari in the 1925 French Grand Prix, to give up his dangerous profession and work on building a racing team that would prove to be a phenomena on the local and international tracks. Enzo officially began the famous brand in 1929 under the name Scuderia Ferrari, or “Ferrari Stable,” though he didn’t manufacture his first car, the Tipo 815, until 1940. In the meantime, he continued to work on his racing team while completing various jobs for the Alfa Romeo company. But Enzo was known for his fiery and disagreeable personality and after some time, he made a decisive split with the car manufacturer and struck out on his own. Unfortunately, part of his departure included him agreeing not to use the name Ferrari in his automotive ventures for a minimum of the next four years. 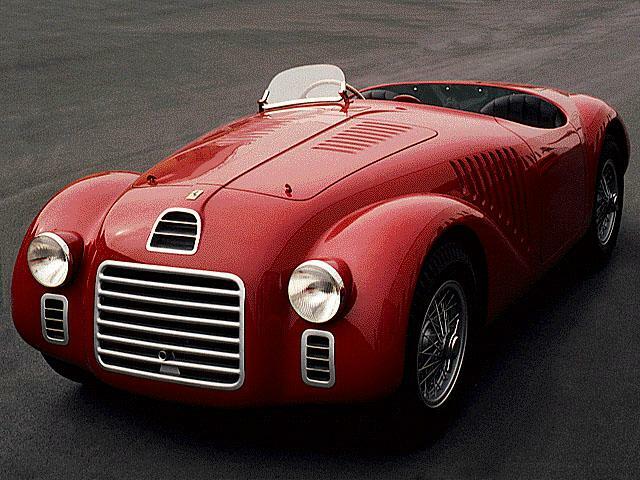 So the first car to ever bear the actual Ferrari name was the 125 S, which had a 1.5L, a V12 engine, and debuted at the Piacenza racing track on May 11, 1947. For the next forty years, Enzo continued to oversee the designs and manufacturing of such iconic cars as the Barchetta, the 400 Superamerica, the Dino, named after his son who died of muscular dystrophy, and his last car, the F40, which was Ferrari’s most powerful engine built at that time. Why is it called Ferrari? Though it may be difficult to look at a Ferrari today and relate it to our conception of a blacksmith, the name does harken back to the global power-house’s unassuming beginnings; the years before they took over the racing world and became an instantly recognizable brand. What other brands have names that evolved beyond their original meaning? Comment below!